He was already gone when I found him lying on my balcony underneath the shade of a poinsettia that has unbelievably flourished from November 2015 and keeps growing even now. 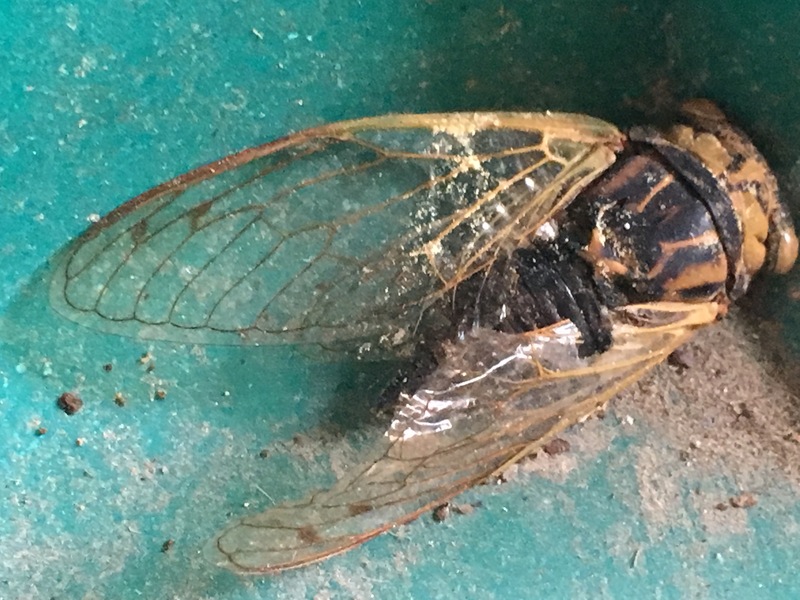 Just a cicada that somehow met an untimely, or maybe timely, death as bugs do. Normally, I’d have scooped him up in a dustpan and thrown him back to earth to do good in the circle of life. But this time I got past my aversion to critters and got closer. And what I saw made me sad and impressed me. 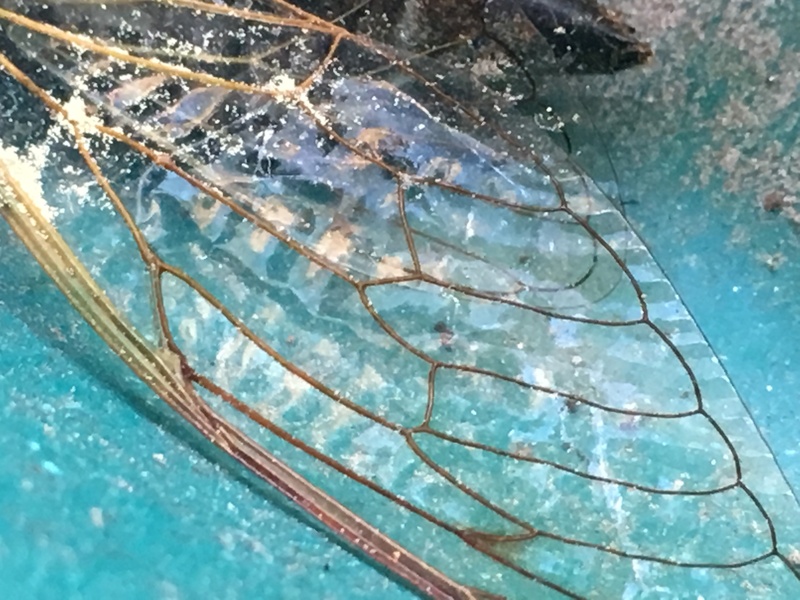 The beautiful details of his wing impressed me. And then I noticed another detail of the other wing — it was broken and slightly smaller, deformed. Looking at the details made me wonder about this bug’s life journey and see a beauty I would not have. Take a closer look at The Daily Post.